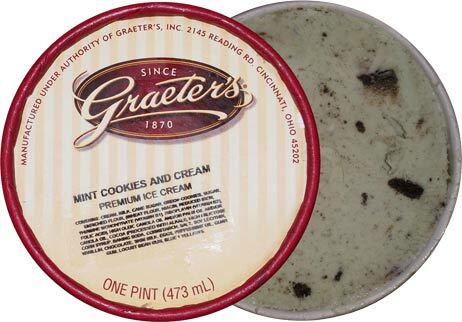 This is going to be quick because in real time it's August but the flavor in this hand packed pint is the Graeter's seasonal flavor for February and March. That's right, I got this free pint along with my cheese crown samples and I was saving it for a special occasion and then forgot I had it. Yeah, I'm awesome at remembering stuff! Do I expect this ice cream to be excellent? Yes. Is it excellent? Ofcourse, it's Graeters. It was packed six months ago and it's still excellent. I just inhaled half the pint without even thinking about it. The french pot process is always a winner. The most important thing I could probably tell you is that Graeter's goes with giant chunks of cookies instead of cookie crumbs but you should expect that from the company that makes the biggest chocolate chunks ever. 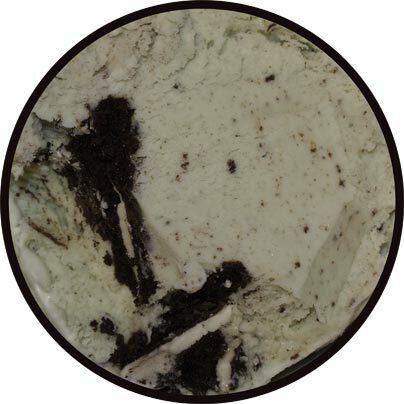 Now technically I did complain about the lack of crumbs when I reviewed their regular cookies & cream flavor, but I think the mint might be a better contrast (distraction) from the lack of crumbs in the base. I would still like to see more crumbs, but like I said, I inhaled half the pint without even thinking. Is it like Girl Scout Thin mint or more like oreos in mint ice cream? How are you going to ruin perfectly good cookies in cream with *BLAH* mint!?!? We still need a test of all of Baskin's 31 flavors- this has yet to be done on any other blog or website! Would love to see you take it on!